Cosmopolitan Funeral Homes has been in the field of deathcare for the past 53 years.Pioneered by Mr. Renato Dychangco Sr.,the first branch opened inCebu in 1951 in a time when horse carriages, then known as “kalesas”,were still in use. Today, Cosmopolitan Memorial Chapels has grown into a full service, state-of-the-art funeral home and memorial service company that focuses on premium products, facilities and quality customer service and value. The company has come a long way since the 1950’s. We stand tall on our experience and our track record of quality performance, innovation and service through the years. 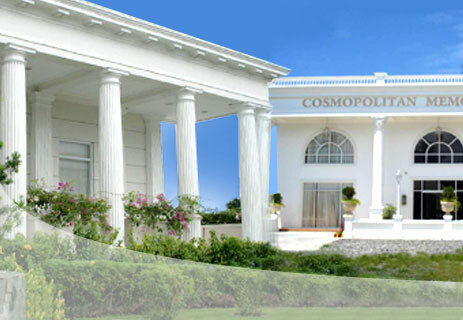 Cosmopolitan opens in the city of Davao located in the Vila Abrille area. ln 1976,an opportunity to open in Lapu-Lapu was offered and another memorial chapel was established. Located at the tip of the island of Cebu, Cosmopolitan Bogo provides funeral services to the provincial community at affordable prices and packages. The Cosmopolitan Nivel Branch resonates of world-class character and state-of-the-art systems and technologies.The memorial home boasts of six luxurious chapels,a business centre & counseling facilities. Cosmopolitam Bukidnon caters to local residents with a fully functional building and offers 2 chapel rooms. The lbabao Mandaue branch was inaugurated in November 2001. It was said that it “boasts of class and character”, The Mandaue branch holds five luxurious chapel suites. The Camus branch is Cosmopolitan’s pride in the Mindanao region. The branch opened in November 2002.The facilities include 18 spacious and luxurious chapels”. All the facilities and necessities can be found in a five star hotel” as quoted the Sun Star Daily Davao. Please sign up for our grief reflection support to be sent regularly to your email address.